Everyone nowadays is using social media. Children, younger and younger, are being exposed to the internet and online tools everyday. Whether it be for educational purposes like YouTube videos teaching primary algebra or for recreational purposes when parents at home need a little break, it is inevitable that your child will be exposed to some sort of technology in their early years. With that being said, social media websites are seeing an increase in younger users joining their platforms. Companies like Snapchat and Tumblr have a majority younger following, with approximately 78% of Snap-chat users being under 24 years old. This interactive tool is growing leaps and bound as a marketing platform for younger customers. If your business is catering to this segment, you need your business to sound trendy and hip, name makes all the difference. Now, although social media is great at connecting people across the world, the question of safety arises. A platform where younger people can connect sounds like a good idea at first, but several problems can arise among the still-immature individuals that misuse the app. 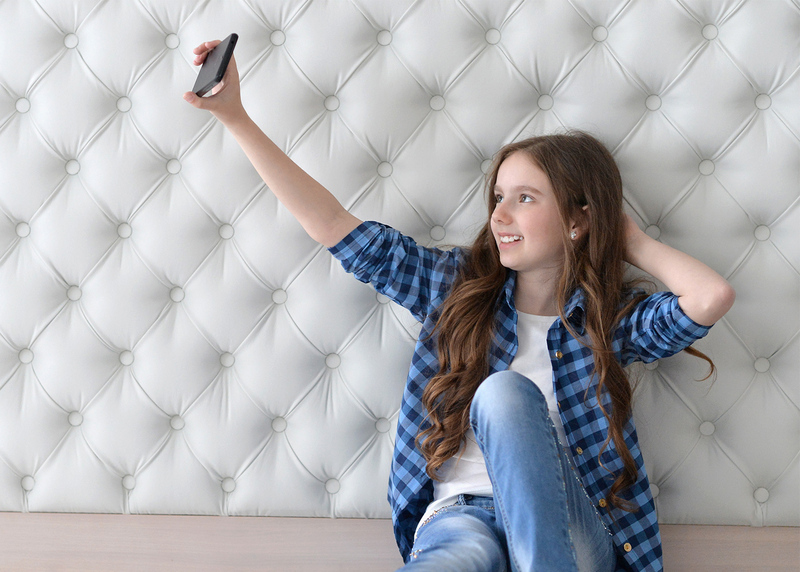 Their enthusiastic, curious minds are eager to explore every part of the platform, and often fail to realize if they fall prey to some predator until it’s too late, or take part in forms of cyberbullying simply because “their friends are doing it.” This makes it important for parents to monitor their child’s account to protect them from potential emotional and psychological damages at such a young age. Before installing apps and websites that will help you spy on your child, it is important to have a conversation with them. Detailing the uses and features of the app and reminding them that even though Snapchat prides itself on “pictures that disappear,” those images can be saved and screenshotted by others and won’t go away then. Parents need to ensure that their child is old enough and mature enough to understand the implications of the app, and to respond appropriately to all messages they receive. Secondly, using a parent-child technology contract can prove to be effective. The contract can outline things such as a specific time to use social media, a shared password that will only be accessed by the parents if they feel something is not right, and a promise to be respectful to others online and respond to messages appropriately (https://www.oberlo.ca/blog/snapchat-emojis-mean), among other things. Contracts teach children how to compromise and respect their parents decisions, and is a good way to keep an eye out in case something happens. If it is too late and you feel that your child is being harmed and want to immediately check up on their account, there are a few websites that will help you. FoneMonitor is an online website with several great reviews. It allows parents to access photos and videos sent, with complete stealth so your child won’t know you’re in their account. You just have to sign in to your child’s iCloud on the website and you will receive access to all their social media history. Secondly, Spyzie Snapchat Monitor is another renowned website with good reviews. It allows parents to store call logs and review messages sent by their children. The only downside is that it only works with Android devices. Lastly, WebWatcher is another app that has the same features as both these websites, but lets you monitor from anywhere in the world. Short answer, yes. Long answer, it’s complicated. By telling your child that you want to monitor their account, they will immediately jump to the conclusion that you don’t trust them. Although everyone knows that parents trust their children, they don’t trust “the world,” how is one supposed to convey that to their teen? They might just act out in retaliation to you asking to see their accounts or may distance themselves from you simply because they believe they have to be perfect in front of you. It is important to have an open line of communication with your children and ensure them that you are doing it for their own safety. There comes a time where there is a fine line between safety and invasion of privacy however. When children reach a certain age, where they are beginning to be independent, checking accounts may not be the best thing for their self-esteem and trust. Parents should make the decision as to when they should stop the monitoring and respect their child’s privacy and have the following conversation with their teenager about trust and respect. The world is a scary place. Things can happen to anybody. With a large underage population, Snapchat can be used as a platform to do more harm than good. There are several ways to monitor your children’s social media accounts, however, simply having a conversation can go a long way. Marketing jobs are not easy nowadays due to immense competition and ever changing trends, Max Leed made a lot of efforts and hard work in order to achieve bragging success in the field of marketing and now he becomes best marketer as well as the manager in his company. He wins many prizes and awards for the success of his projects. He is the very cool minded person and his qualities help him a lot to win the confidence of his customers. His customers always come back to repurchase just because of his polite behavior. Basically, marketing requires analytical approach, creativity, smart skills, product quality and public relationship at the same time. Max works hard day and night and polishes all his skills with practice. On the other hand, he also publishes his own marketing book in which he discusses his marketing success stories in detail. He is the well qualified person, he completed his Master’s degree from the University of California, and his major subject was marketing. After the completion of his master’s degree, he starts his professional career working with Dell brand where he practically learned a lot about practice marketing. The first challenge for him was the relation management as it is not easy for everyone to maintain healthy relations with so many customers. Max Leed always manages relations with customers in well organized and healthy way. He always focuses to implement six sigma strategies for marketing his products to enhance the output. Results are always important for Max so he always focuses to achieve his goals at any cost. On the other hand, he is also a creative mind person so he always tries to implement new marketing techniques. He is not only successful in his professional life but also a good swimmer and squash player and spend most of his free time in the sports club. Recently he started some new marketing projects of a company The Custom Boxes working in the UK.